Welcome to Theme Park Overload! Today we continue our East Coast adventure at Six Flags Great Adventure in Jackson, NJ! 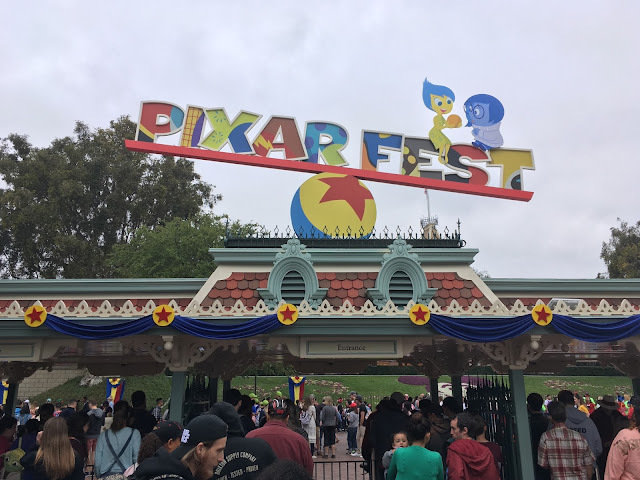 We'll take a general look around the park, and take a peek at everything new or noteworthy! Welcome to Great Adventure! Like many of the more "history filled" Six Flags parks, this one has an awesome "Little America" themed entrance plaza. Basically, Six Flags's version of Disneyland Main Street U.S.A. The main gift shop at the entrance has a great Photo Timeline that goes through the history of the park. First up, Kingda Ka! This is generally every coaster enthusiast's first thought that comes to mind when regarding Great Adventure. It has been regarded as a "One Trick Pony" and "Over hyped", but my opinion is slightly different. The 0-128 MPH launch is something I've never experienced on any coaster I've ridden, and is memorable in itself. Yes, it's a little rough in some spots, but that doesn't greatly take away from the total experience. I think this engineering feat in itself is often overlooked, as having a commercial roller coaster constantly catapulting riders that fast every minute, all day, all season is no easy task. With Kingda Ka, you have to change your perspective on what it really is. This may sound weird, but after riding it you can't really classify it truly by calling it a "roller coaster". Between the extreme height, crazy speed, and insane acceleration, you have to look at it as a "thrill machine". 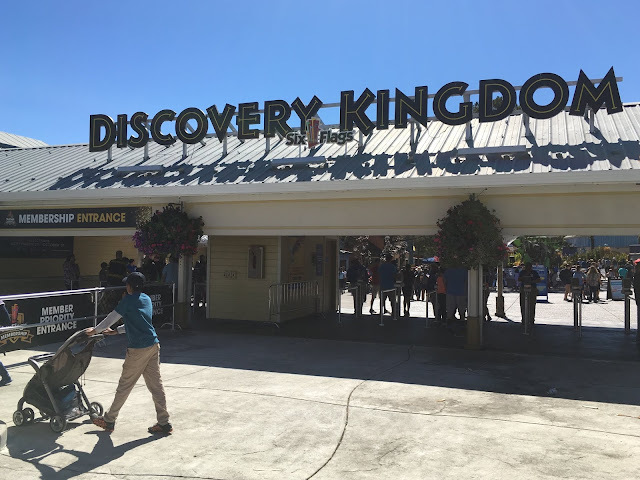 I think the reason why it has been regarded somewhat negatively from before is because reviewers are viewing it as a traditional coaster, and not just an "experience" or "thrill ride" that it is. I hope I didn't lose you on all that, but if you've ridden it before you should be able to understand my terminology and thoughts. Let me just say, I haven't been that nervous to ride a roller coaster in a long time! Moving away from the steel behemoths, time for a Safari! This attraction is incredibly unique for a Six Flags park (Or any park in general) and definitely a highlight. The vehicles are very airy and comfortable, and give you a great viewing window to see all the surrounding wildlife. It really is up close! Was this photo really taken IN A SIX FLAGS PARK?!?! Halfway through the adventure, riders have the option to take a pit stop at Camp Aventura. It's a nice little resting area with food and animal exhibits that also provides unique views of the surrounding animals roaming around. Hey howdy hey! These little guys rest inside the gift shop. The interesting, but not very informative, map. The park has a nice mini queue on the way out to a departing truck to continue the adventure! Back on the main land, now we head to the Dark Knight Coaster. Now you may be thinking: Since when is some old wild mouse coaster worth looking at? Here's why. Something Great Adventure does better than every other Six Flags Park is the theming on their attractions. The Dark Knight coaster had a story that was easy to follow and intriguing, along with props and effects that were maintained and working. These little things are what set parks out from one another, and up the overall atmosphere. While taking a picturesque skyride above the park, I couldn't help but notice the dramatic and defined sky line Great Adventure has. Kingda Ka and El Toro look like works of art from up here, not to mention incredibly massive! Adventure awaits the guests down below! Here's the entrance to Adventure Alley, the new-ish area added to the park when Sky Screamer was built a couple years back. Honestly, I wasn't impressed at all. The single strip runs to the right in the photo above, and is basically nothing but a few rides and concrete jungle. They could've done a better job with theming or sprucing up the area in general. The Six Flags bus at the entrance is pretty cool though! Hooray for Park-Specific food locations! The hot dogs were pretty good too! As the night drew to a close, the nicely lit Boardwalk caught my eye on the way out. 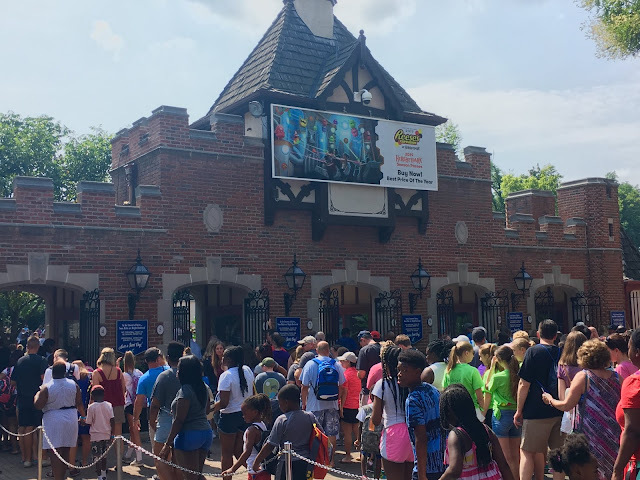 We had a great time visiting Six Flags Great Adventure for the first time, and definitely plan on making the cross-country trek again in the future to visit this fantastic park! That's all for now from TPO. Make sure to "Like" our Facebook page to gain access to Exclusive Content and Prize Giveaways! www.Facebook.com/ThemeParkOverload My name's Nicholous, and Thanks for Reading! P.S. Check out the separate article we did covering the new El Diablo coaster currently under construction with a Video Interview with SFGA Park Spokesperson Kaitlyn Turi by clicking here!